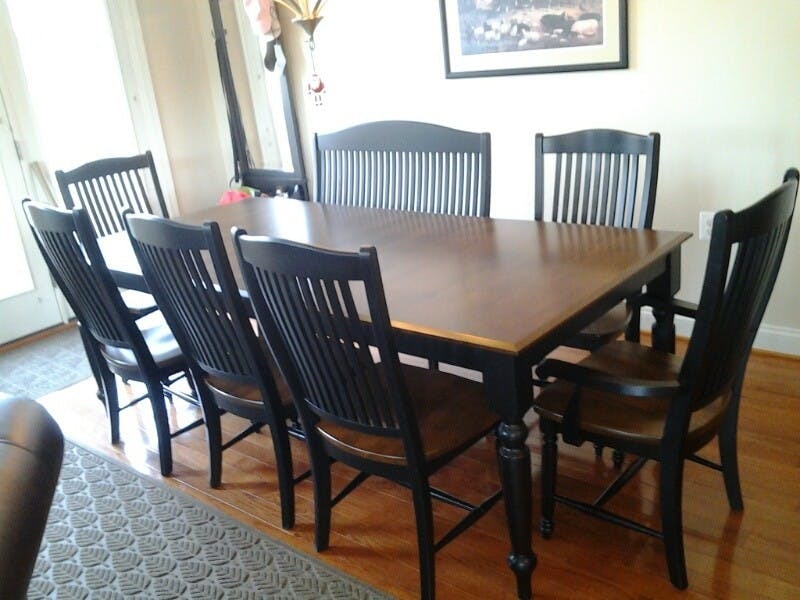 We invite you to browse some of the fine furniture our Design Consultants have setup, for customers around the region. You're used to seeing pictures of the furniture in beautiful room shots across our website and all over the web. However, we thought it would be nice to show you some of those same pieces in place in an array of settings, especially within our own customer's homes! We'll be adding new shots each month, and you'll notice we've credited the Gladhill Design Consultant that worked with the customers in each picture. If you see something you like, we encourage you to contact us and speak directly with the Design Consultant of your choice! Canadel dining room in Frederick, MD. Designed by Wendy Saylor. 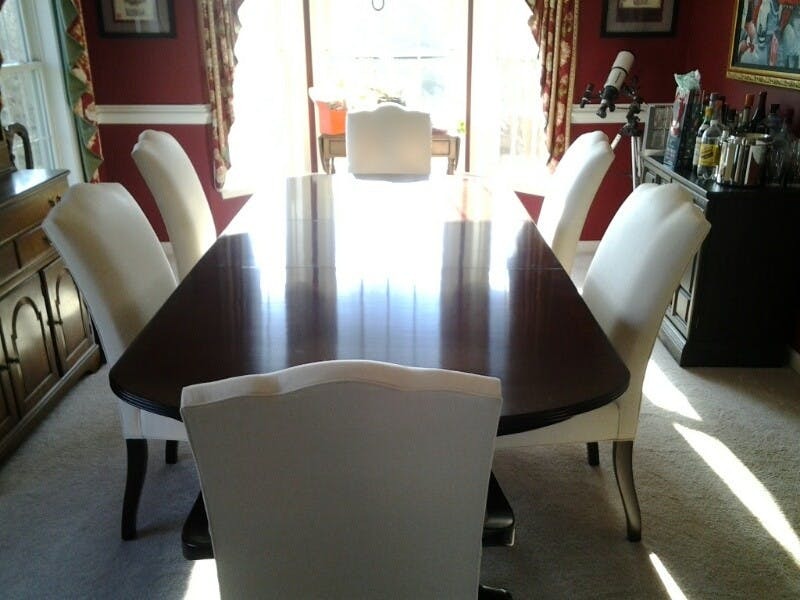 FFDM dining table and Design Master chairs in a cream fabric and cherry arms/legs in Mt Airy, MD. 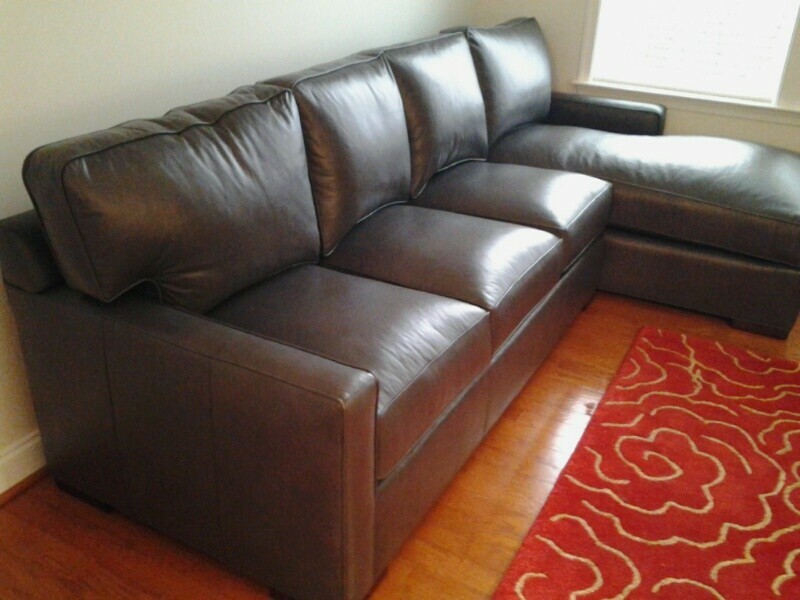 Suffolk Flexsteel leather sofa and loveseat in Gettysburg, PA. Designed by Teresa Anselmo. 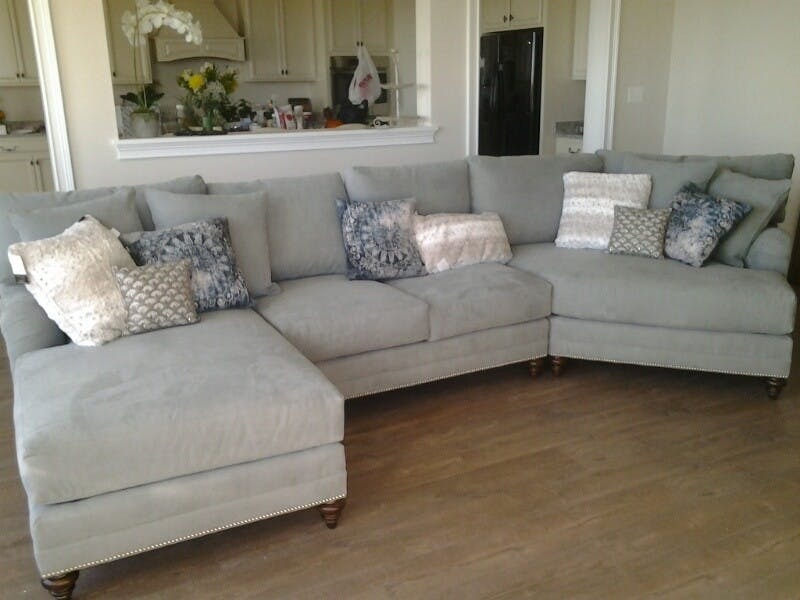 LTD7600 Cornerstone Century Sectional in Round Hill, VA. Designed by David Fink. 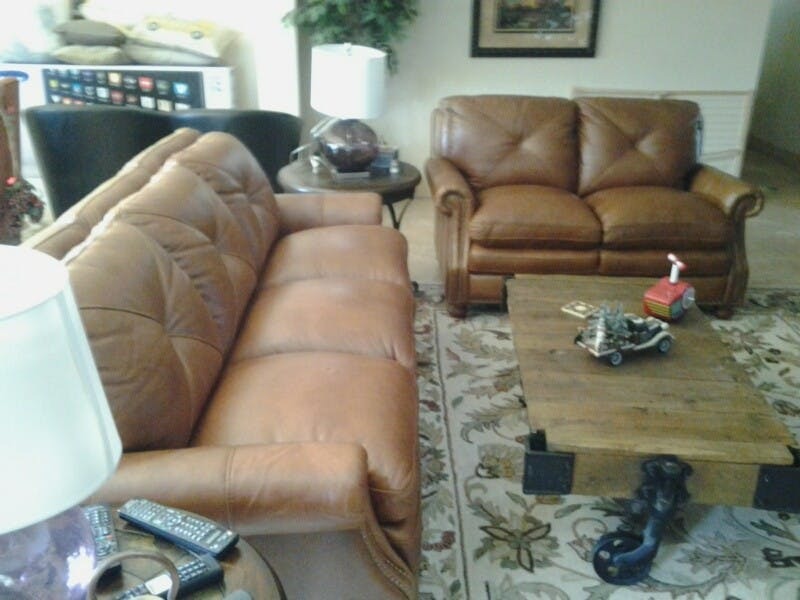 LR7600 Leatherstone Sectional by Century Furniture in Frederick, MD. Designed by Doug Pinzon. 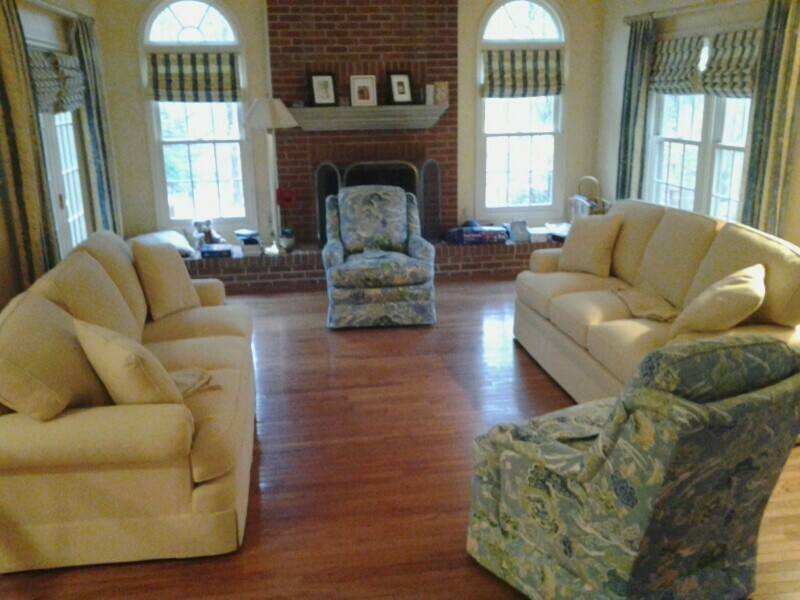 9634 Sherrill Sofa and 1544 Sherrill Chair in Fairfax VA. Designed by Wendy Saylor. 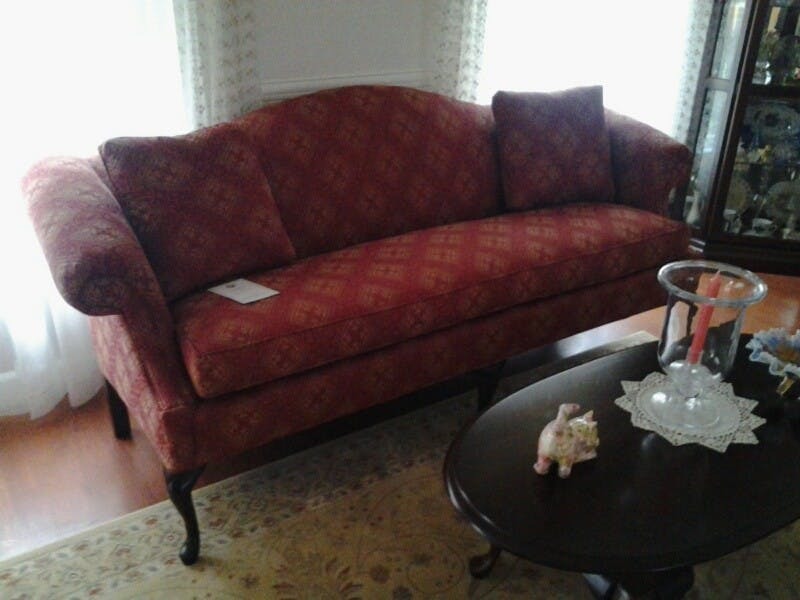 6700 Friendship Upholstery, Camel Back Sofa in Severna Park, MD. Designed by Wendy Saylor.